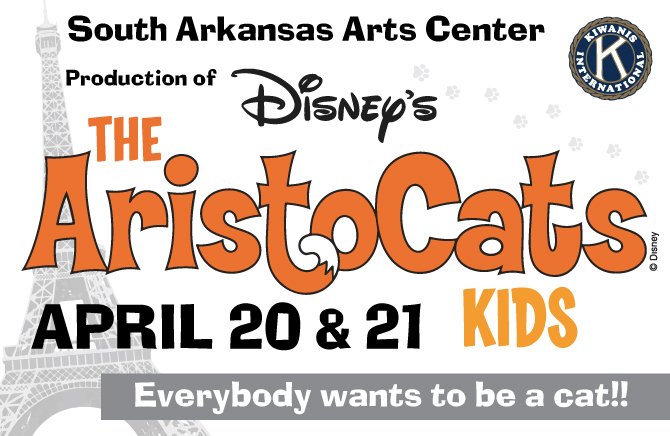 The South Arkansas Arts Center brings to you Disney’s irresistible classic, “DISNEY’S THE ARISTOCATS KIDS”. 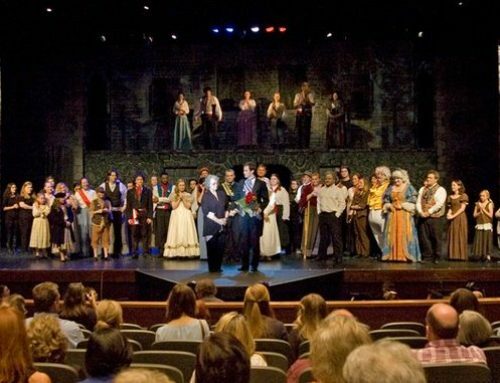 Presented by the Youth Community Theater in their third production and sponsored by the El Dorado Kiwanis Club, the production will run April 20-21 with tickets $5 for all. Jazz and hijinks make this Disney cat tale meow! In the heart of Paris, a kind and eccentric millionairess wills her entire estate to Duchess, her high-society cat, and her three little kittens. Laughs and adventures ensue as the greedy, bumbling butler pulls off the ultimate catnap caper. Now it’s up to the rough-and-tumble alley cat, Thomas O’Malley, and his band of swingin’ jazz cats to save the day! Disney’s The Aristocats KIDS is presented through special arrangement with Music Theatre International (MTI). All authorized performance materials are also supplied by MTI. For more information, please call the SAAC office at 870-862-5474.